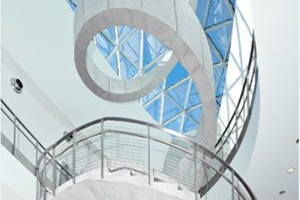 Enjoy selections of live orchestra music along with complimentary coffee and donuts at a morning Coffee Concert series at the Mahaffey Theater. Explore the world-class Chihuly Collection presented by the Morean Arts Center, also featuring live glass-blowing demonstrations at the Glass Studio & Hot Shop. Then enjoy the galleries of the Morean Arts Center and a behind the scenes tour of the Morean Center for Clay. The Florida Orange Groves is a third generation, family-owned and operated tropical fruit winery. What began in the early 1970’s as a citrus shipping & packing business has now transformed into a fully operational working winery. The winery is open for tours Mon-Sat 10am-4pm and Sun 12-4pm; the tasting room is open Mon-Sat 9am-5:30pm and Sun 12-5pm. The Duncan McClellan Gallery features rotating exhibitions showcasing nationally and internationally recognized glass artists. Glass is the primary medium, and artists are given the opportunity to work in the onsite hot shop. The Gallery itself is a work of art and open Tue-Sat from 10-5pm & by appointment Sun-Mon. Discover 4,500 years of civilization in thousands of objects extending from antiquity to present day – the only art collection of its kind on Florida’s west coast. Highlights include masterpieces from Monet, Cézanne, Renoir and others, a sculpture garden, a Steuben glass gallery and one of Florida’s most respected photography collections. The Florida Holocaust Museum honors the memory of millions of innocent men, women, and children who suffered during the Holocaust. The Museum is dedicated to teaching members of all races and cultures the inherent worth and dignity of human life in order to prevent future genocides. Pinellas County’s oldest museum was founded in 1921 as the St. Petersburg Memorial Historical Society. Through the effort of Mary Wheeler Eaton and others, the Society began collecting artifacts, natural history specimens, archival documents, photographs, papers, and more. In 1922, the Society became incorporated and the city of St. Petersburg provided the use of a former aquarium (located on the same site as today’s museum) for the public display of the Museum’s collections. 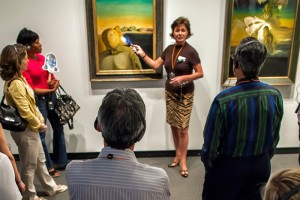 We offers free daily gallery tours, private Docent-led tours and the kid-friendly “Mr. Mustache” tour.